I recently listened to a podcast interview with science fiction writer David Brin in which he proclaimed that the past year was the best year ever for space exploration. He made a good case for the claim: perhaps the biggest space story of the year was the New Horizons spacecraft’s flyby of Pluto in July that offered some truly stunning photos of our one-time ninth planet. But it was far from the only story. After visiting the asteroid Vesta a few years ago, NASA’s Dawn spacecraft went into orbit in March around the other major dwarf planet in our system, Ceres, the largest object in the asteroid belt. The European Space Agency’s Rosetta craft continued to follow the Comet 67P/Churyumov-Gerasimenko in its path around the sun, even briefly regaining contact with its lander Philae on the surface of the comet. A Japanese probe successfully made orbit of Venus (on its second try) and an Indian Mars probe was a thorough success. Private space companies had a couple of setbacks, but significant successes too. Blue Origin was able to safely land a rocket booster on its tail, like something out of 1950’s space movies, and then SpaceX topped that by launching eleven satellites using its Falcon 9 rocket which was then successfully landed back on the launch pad for re-use. That technology should reduce the cost of sending things into space by a huge margin, which could well kick-start a revolution in the exploitation of space. Oh, I know there were always some trending stories on Facebook and Twitter, but did anybody except science nerds and science fiction writers actually get excited—really celebrate the milestones being achieved? I don’t think so, not to the extent that they deserved. It seems as if, in these times when almost the whole of human knowledge is available to us through the internet, we take for granted that everything worth knowing is either already known or soon will be. Through digital media we’re constantly bombarded with new discoveries (many not yet substantiated) in the fields of medicine, physics, biology and, yes, astronomy…so the extraordinary achievements of space engineers who manage to hurtle high tech robots over ten-year-long trajectories to planets nearly five billion kilometers away just become more of the same. Expected. Not quite routine, but not life-altering. Not landmark events in the fabric of our lives. Or maybe I’m blaming the wrong thing. 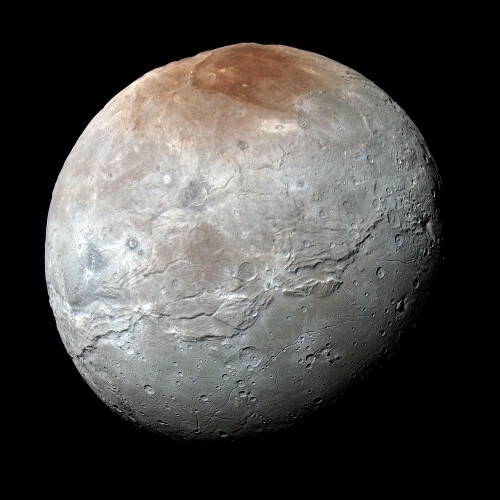 Maybe we’ve become so used to seeing science fiction movies and TV shows with exceptionally realistic special effects that the actual pictures of a real place like Pluto fill us with aaah but not awe. We see rugged Plutonian plains of nitrogen ice, geysers on Jupiter and Saturn’s icy moons, rocky planetoids spinning in the vastness of space, and we say, “That’s cool” and move on to an article about the next iPhone, or ads for the next model of aerial drone. I don’t really know the reason. I know that in the middle of the last century each new achievement in space made us think of gleaming cities with tube trains or monorails, passenger rockets to Mars, and fantastic floating colonies in high Earth orbits. Now they only lure our minds away for a few minutes from thoughts of climate crises, terrorist threats, and burgeoning epidemics. When did hope and wonder give way to fear and gloom anyway, and why? Hope and wonder are a lot more fun. The next time you see photos of a new space discovery, take a few moments to really picture the scene. Picture the incredibly talented team of dedicated people that made it happen, the vastness of space and the incredible unlikeliness of the amazing objects out there, and our being alive at this time in history to witness it. Let the wonder really take hold. Of that feeling are bright futures made.